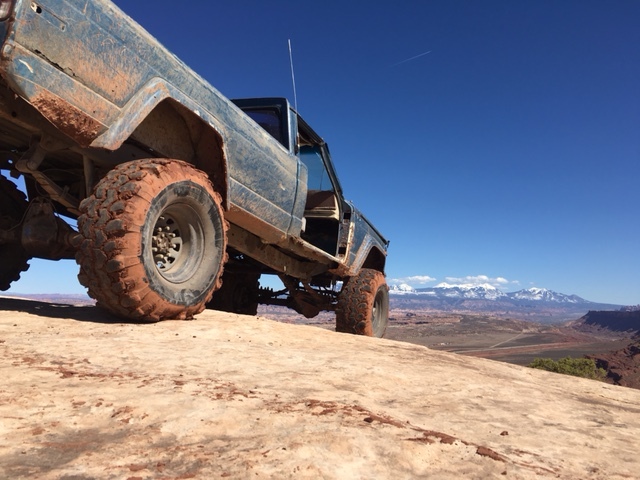 Moab FSJ Invasion Spring 2017! March 27th thru the 30th! 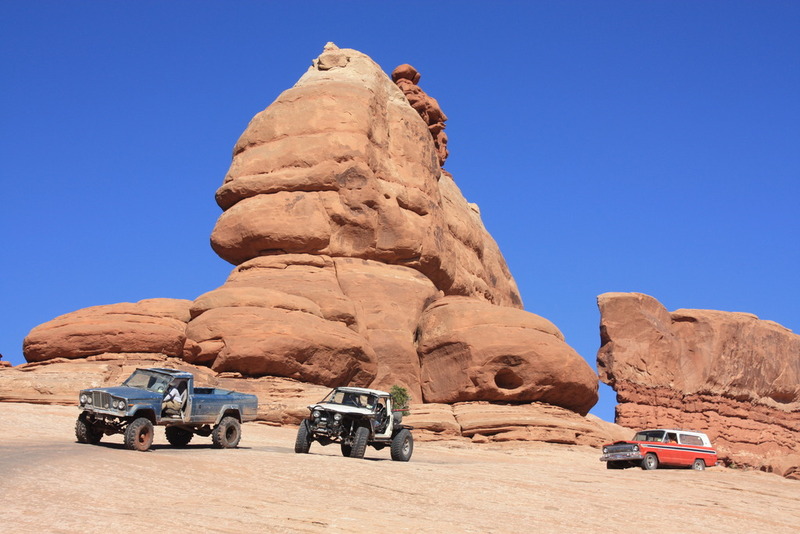 Is everybody ready to start planning for Moab Spring of 2017? 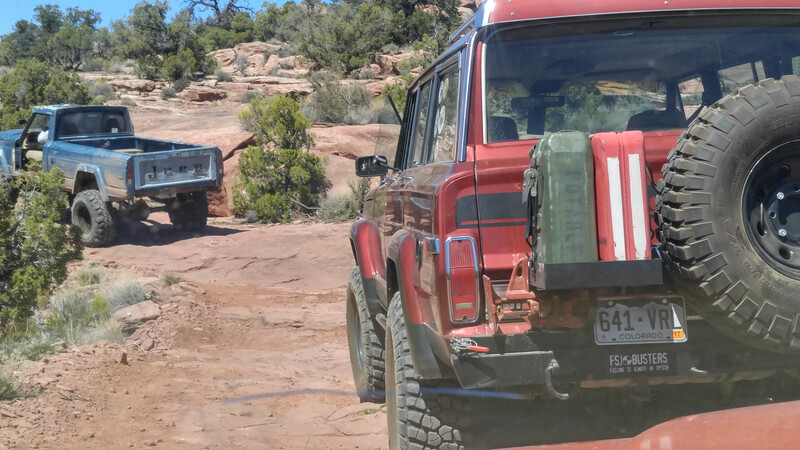 EJS Should be from April 8-16 this year, and I know I'll have to work around Easter. I've got welding class every Saturday so I'm finalizing the dates for March 27th thru March 30th! That gives everyone plenty of travel time and should be early enough to avoid most EJS BS. Those will be next years dates as well. Last edited by Nikkormat on Thu Feb 02, 2017 4:42 pm, edited 1 time in total. Re: Moab FSJ Invasion Spring 2017? March 28th through April 1st? I've never been to EJS so I'm planning on going that week. I want to try Hell's gate with some seasoned spotters. And I want to check out the vendors. 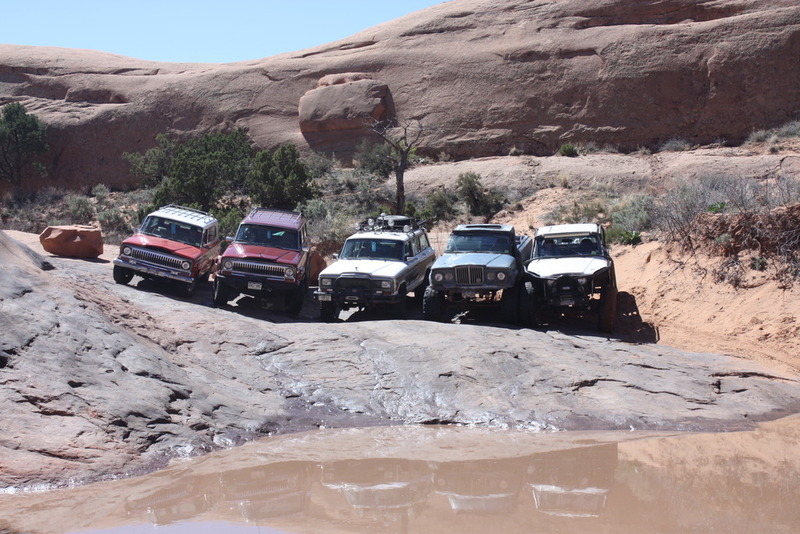 I would be interested in the traditional week after EJS for FSJ fun. I'm not sure if I will be able to make it in the spring... lots of powertrain to swap/figure out before then. Cool! Are you going to be around for the run on Sunday? put me down for tentative. Sunday? Not sure. Will try and finalize plans and hotel reservations soon. I asked Violet if she wanted to go again. She shouted an excited 'yes' almost before I finished asking. I would thinking about this but I have Las Cruces plans that month. Anyone interested in an overland type trip out there? 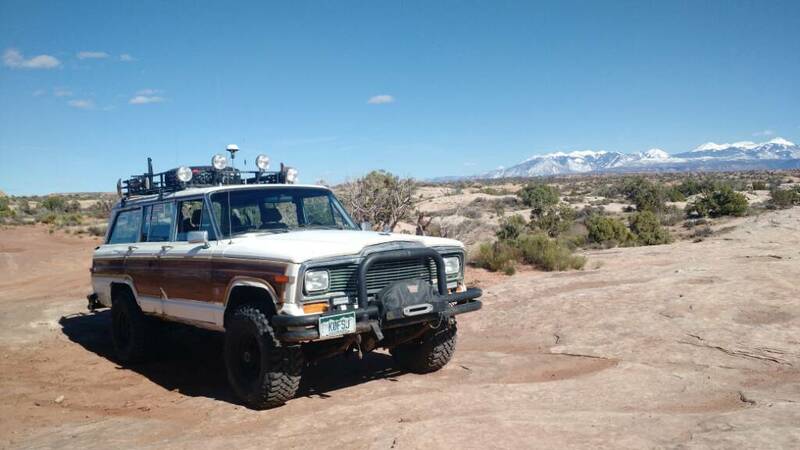 I went to the Rocky mountain overland meetup this month and a guy was talking about a Montrose to Moab thing. Blake or Nikkormat probably know some paths. I might be up for that on the way out, maybe camp one night on the way. Also... 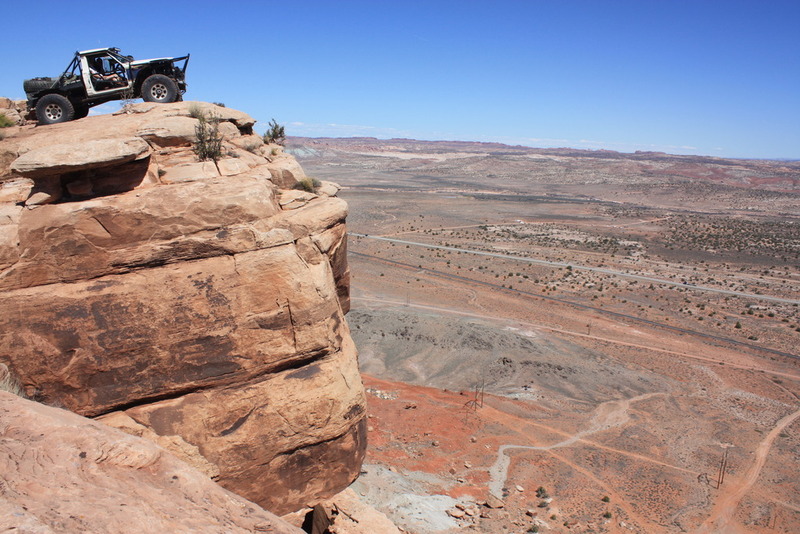 I would love to think about a white rim expedition next year. Gotta get permits / camp site reservations way in advance. I am gearing up to do emissions. Plan: new exhaust (cat, especially), check EGR, finish TBI datalogger, wideband sensor install, further tuning, then test again. You leave Colorado through the town of Gateway, CO. There are a few different paths to take and a couple of them will have too much snow. I don't think they actually close the trail with gates, but believe me, there is too much snow. 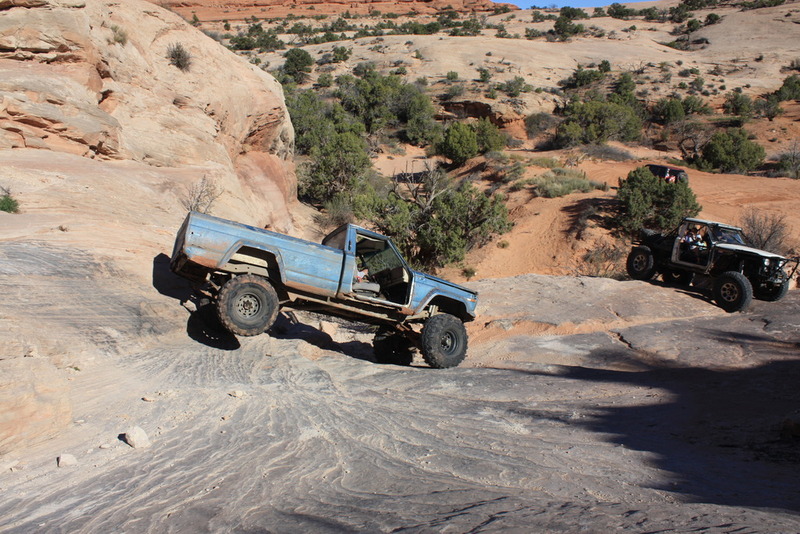 There are a couple of ways to get to Moab from Gateway that are graded dirt roads that will be open/no snow. I believe you could even tow a camper through those roads. I'm going the gateway co - Moab route. Camping at porcupine rim in sand flats. I'll check out the gateway routes, thanks. 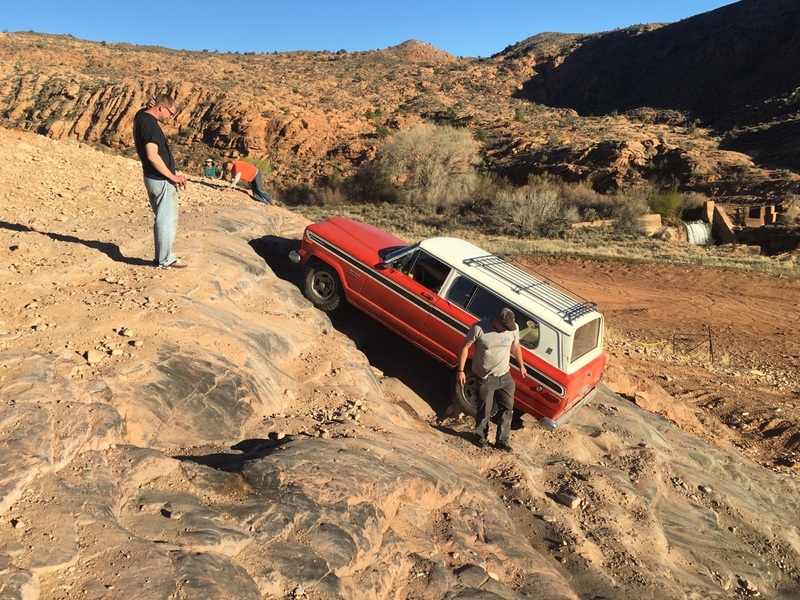 Re: Moab FSJ Invasion Spring 2017! March 27th thru the 30th! OK! I have my schedule for this year and next finalized, so the 2017 and 2018 invasion dates are going to be March 27th thru March 30th! Like Ouray those dates are ones where you should be checked into your campground ready to wheel for a day. But also like Ouray, those are more guide lines than rules. Tentatively, I would like one day to be spent in sand flats hopefully running hell's revenge. A day at the sand dunes north of town. Other than that I'll probably just spend a few days driving around and doing the tourist thing. Wow... March got here QUICK! I am definitely not going to have the powertrain swap done in time. Not sure if I am going to make it since I have to figure out what to do with the kids/wife. I'm going ... even if it is in the WRX! Hmmm... maybe if I get enough speed up I can make it over stuff?? We're arriving Thu afternoon, heading back Sunday afternoon. Staying at Moab Valley RV Resort & CG. I'm unsure at this point, sadly. The Jeep is ready to go except one small detail... The engine. I don't know that I'm gonna make it this year.... the clutch in the honcho is getting really bad. I was 'wheeling up to my neighbors house the other day on a steep hill in the snow and I could smell it bad. Plus it's being used as a tractor now; pulling full lenght pine logs and towing the dually up the driveway when I get water. I'm way too busy to slap a clutch in it right now. Blake, if you get a clutch kit I'll come help you put it in one Saturday/Sunday. 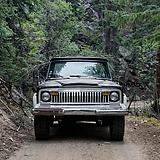 I'm working on a wagoneer to take now... Convertible wagoneer... Well chop top anyway.